Forty Years Later and Still Growing! The idea of creating a new State Park ran into opposition from many corners of the community. The fisherman opposed the proposed lake because of trout habitat destruction; boaters opposed the small lake and wanted a much larger one for power boating; hunters did not like the loss of prime small game hunting fields. Everyone objected to flooding Henrys Woods and nobody wanted the campgrounds, concession stands, the swimming pool, and the sewer lines to support all of this development. The Henry family picnicking in Henrys Woods. 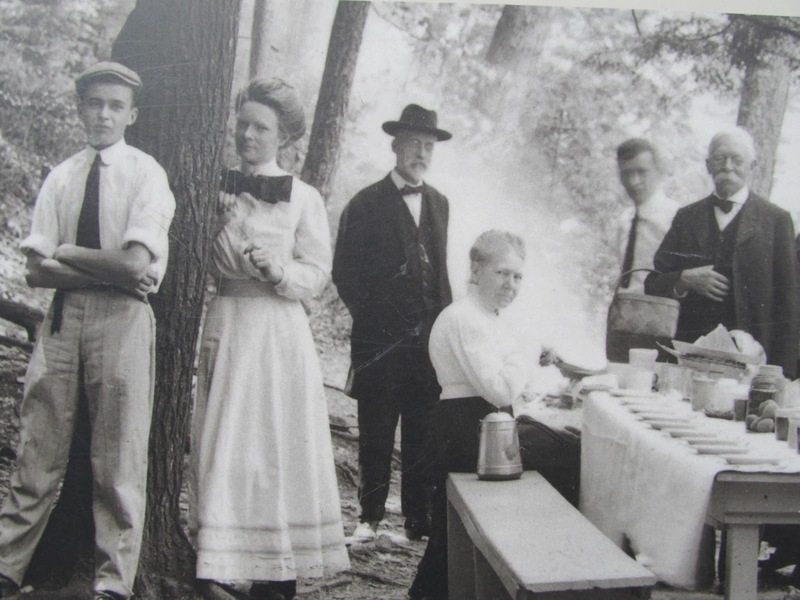 Many people from all parts of the community joined together to support the preservation of the history and the unique geographical area that is now primarily encompassed by the Jacobsburg Environmental Education Center and is preserved and interpreted by the Jacobsburg Historical Society. These two distinct entities, a non-profit organization (JHS) and a PA state agency (JEEC), have cooperated closely over the decades. 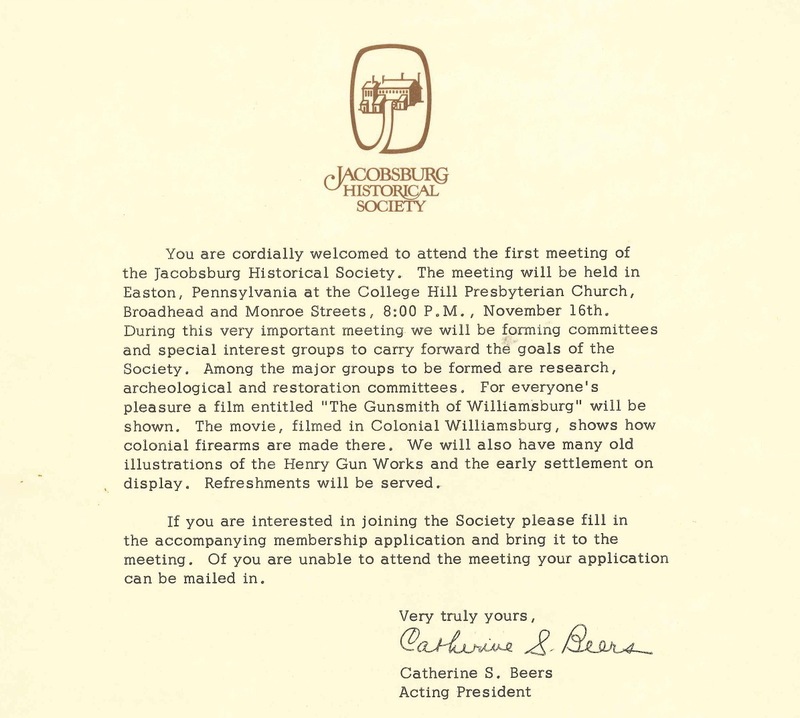 The announcement of the first meeting of the Jacobsburg Historical Society in 1972. Our Society serves as the repository for many unique and rare firearms in our Pennsylvania Longrifle Museum. It also offers interpretive and educational exhibits that document the history of this early American industry and art form. JHS works to preserve the history of a community that was very important in the early days of our nation. The many people who have been involved in these efforts over the last 45 years have accomplished much, but we still have much to accomplish. Jacobsburg Historical Society has been very fortunate in the past, receiving support from the community and many generous individuals, but we need to do more if we are going to continue to offer the educational resources to future students of history. We thank those that have helped in the past and thank you in advance for your willingness to continue to support our commitment to the community. Paul Lopresti, Second Vice President Sr.